Forever Home: Montana. May the circle be unbroken. My dad loved road trips. He died talking about them. There it is: that corded telephone. Dad was chatting with my older sister almost two thousand miles away, remembering road trips he’d taken with each of us four kids when we were so much younger: Montana, Wyoming, the Dakotas. Dad was telling my sister he already had plans for another road trip in the spring once the snow melted – even at his age, 87. Then, “I don’t feel so good.” Telephone cord, dangling – conversation, dangling. Lifesaving madness in code-blue emergency surgery, prayers for a pacemaker – but too late. Dad’s heart stopped, like when a horse lies down and then simply dies. Dad was dead. Dad grew up on a northeastern Montana Norwegian homestead 10 miles north of Glasgow as the crow [crookedly] flies. Travel was tricky with snowdrifts, pot holes, and gumbo-dirt roads into town, to school, to distant neighbors. Yet Dad was on the loose: first by foot as a boy, then by horse as a teen, and later by bus as an 18-year-old, bound for Seattle with just nickels left in his pocket for a watery road trip out to sea, a World War Two sailor on submarines in the Philippines. Dad stopped in Seattle at Fort Lawton, where the Navy commissioned him out to sea. Today, Fort Lawton is now called Discovery Park; I live just a few blocks away from where my dad once roamed. As the war wound down and they herded ships back to shore, Dad headed home for Montana. 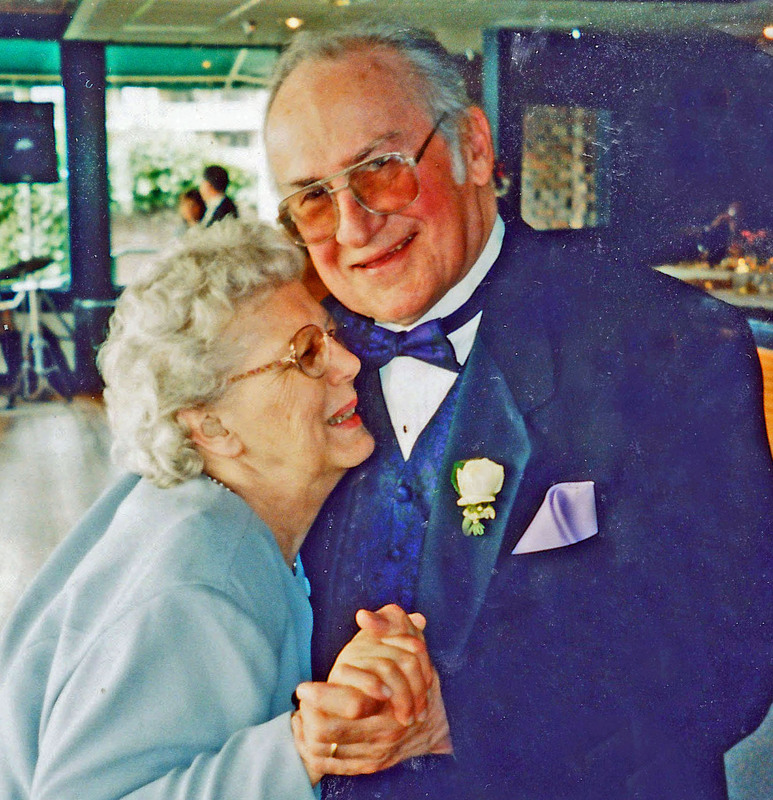 One Saturday night at a Lutheran dance social, he waltzed into the 20-year-old heart of a one-room schoolhouse teacher, and a year later Art and Frances married. Their honeymoon plan was a road trip to exotic Williston, North Dakota (! ), but an icy December blizzard forced them off the road and on to the Wolf Point Indian reservation, where they adventurously holed up for their honeymoon – their first road trip together. 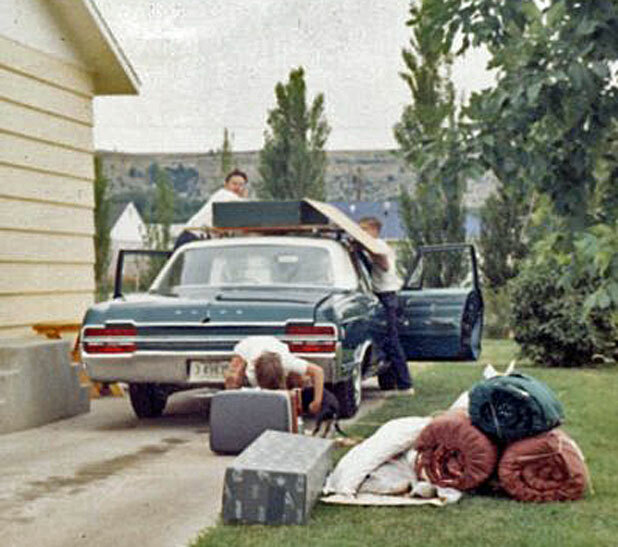 As the family grew, so did our Montana road trips: to Yellowstone Park, Glacier Park, Indian reservations, ghost towns, and relatives along the way. Best of all were road trips following the routes of those fearless American pioneers, Lewis and Clark. In time, the money was gone; the West’s agricultural economy devastated by bad weather and bad governmental policies. Ranchers couldn’t pay, gone belly-up. Although Dad’s branch office in Billings, Montana closed its doors, he was offered a desk job: a 1,200-mile road trip to the J. I. Case Tractor Company headquarters. Sometimes there is no choice but to blindly step out in faith, leaving behind a way of life forever. We needed to eat. Tearfully, Mom and Dad packed the car for our family’s road trip to a new world: Wisconsin. Ironically, we moved to a lakeside town called Racine, French for “roots.” But we had no roots there; Mom and Dad’s hearts were DNAed to Montana. Like homing pigeons, they made dozens of 2,400-mile road trips back to their real roots – Montana – even as 40+ years slipped by. The last was just this past July. I last saw my dad alive in October when he, Mom, and I took an all-day autumn road trip through central Wisconsin, stopping by my alma mater, Ripon College, and searching for Dad’s favorite apple orchard and cheese factory. We followed that stunningly beautiful County Road #49, the stuff of movies and memories. 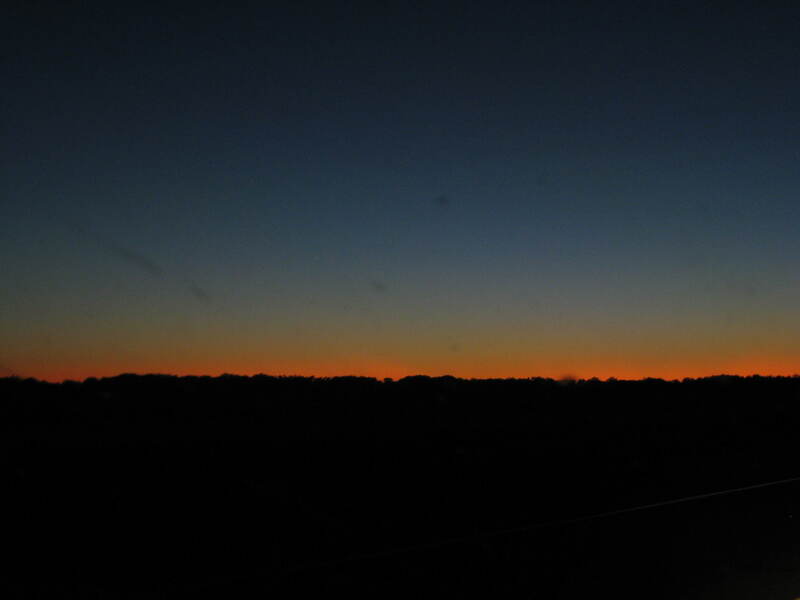 Dusk descending, I drove the final leg of our road trip home as Dad slipped into sleep debating the virtues of brick cheese over cheese curds. Such is my last road trip memory with Dad: the ordinary stuff of life. There are so many road trips in our lives. Most are not paved, straight interstates. Sometimes winding, scenic back roads lead us to places we never imagined of great beauty and joy: milestones, weddings, children and grandchildren, gratefulness. And yet, at other times in our lives we so easily take a wrong turn onto potholed paths and dead ends where we lose ourselves, and lose our way, or others betray us and force us off the road into deep ditches: divorce, illness, addiction, estrangement. We are all on road trips, exploring the landscapes of our relationships with one another, with our world, with ourselves. 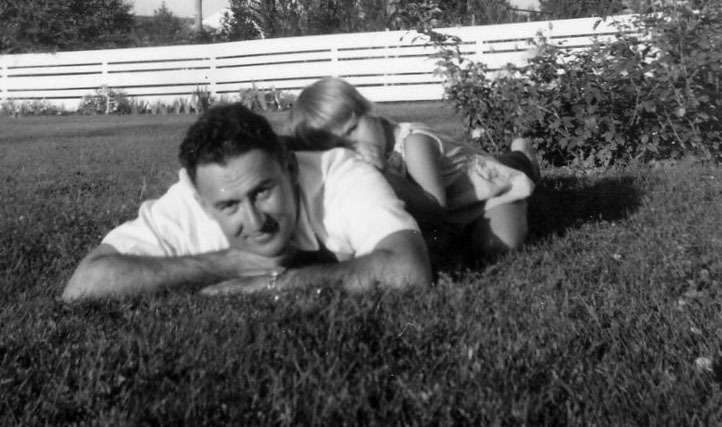 Many of you have taken long road trips to be here today with my father, to remember Dad and celebrate his life. Thank you. May our travels strengthen the ties that bind us to one another, and remind us how quickly our lives pass on this planet – like my dad’s, in the middle of a phone call to his beloved daughter about his next road trip, when the snow melts away. There is still one last road trip for my dad, just as he told my sister in his last-ever words. Dad’s going home to that “spirit of place” DNAed into his soul. When the snow melts away, on Memorial Day we will take Dad on a 1,200-mile road trip outside Hinsdale, Montana, to the family plot in that windswept, sagebrush-scented cemetery where our relatives rest. There we will bury Dad’s ashes, rooted deeply into the earth where his strong heart and spirit will soar above the Montana land he loved so well. At last, Dad will come home… on this last road trip, an eternal one. Tags: death, family, Helen Holter, Montana, relationships, road trips. Bookmark the permalink.